Maybe your child(ren) don’t have a noticeable special need or an official diagnosis and you’ve been wondering if you are just crazy, or if anyone else understands. When it looks “normal” to everyone outside of the home, the day to day frustrations of dealing with invisible special needs can make foster and adoptive parents feel isolated and judged by those who just don’t get it. 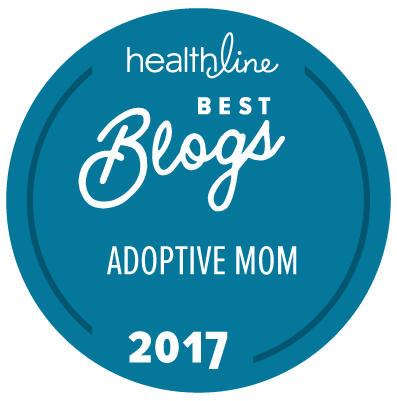 This month, Mike is interviewing Jamie Worley, adoption blogger at seejamieblog.com, which was one of Healthline.com’s 2018 Best Adoption Blogs. Jamie is passionate about encouraging other adoptive families and helping to educate those considering foster care and adoption. Don’t miss this opportunity to be encouraged with some practical steps and words of hope in understanding and dealing with the invisible special needs of adoption. 5 Important Tools To Carry Into An IEP Review Meeting. Parents, we have almost made it through another year of school! Nightly fights over homework. Almost done. School projects completed, even if thrown together the night before. Or 3 days late. And by you only. Too many lunches packed to count. Admittedly, getting less nutritious as the days click away. We’re hitting the home stretch. But with this excitement of spring comes a small amount of stress, because spring season brings…IEP reviews! I have 4 kids. 3 IEPs. This is no joke, folks. IEPs are no laughing matter. We were part of the fifth largest school district in the nation with very few resources. We almost went to due process in our last full year. You might say, I’m seasoned. Weathered. Or worn. How To Transition A Child Home After Residential. In the unfortunate situation that your child has to live away from your home in a residential treatment facility, there will likely be a time when he or she transitions back home. But how do you do this as smooth as possible? We’ve walked this road a few times. Here’s what we’ve learned. It’s important to note, right here from the start, that we believe in the preservation of family. And we believe in permanency. Children need forever homes. If that’s not with biological families, then it’s with healthy foster or adoptive families. Children need permanency in order to form healthy attachments and bonds that will last a lifetime. With that said, we never advocate that a child go into residential treatment unless their behavior or choices have reached a point of being unsafe for them or unsafe for you and the rest of your family. My kid had been caught red-handed. On camera, but also by the evidence spilling out of his bedroom. Literally…spilling out of his bedroom. If someone had rounded the corner and punched us square in the face, we would have been less shocked. And you better believe we saw red. Not only were we angry, but embarrassed, ashamed, and bewildered. This was not acceptable at all. When Church Becomes A Negative Experience For Adoptive Families. I hate going to church. I’m not one to beat around the bush. So yes, I hate it! It sounds shocking, I know. Especially since my husband’s a pastor. Not just the Sunday morning kind of church either. I hate all church functions. Bible studies. Small groups. That kind of church. Understanding The Behaviors Of Children With FASDs. We receive hundreds of emails every month from parents who are struggling with children suffering from the effects of prenatal alcohol exposure. The daily challenge of living with children who rage, lack of impulse control, and seem to never learn can be beyond frustrating! We are extremely blessed this week to have Dr. Ira Chasnoff join us to kick off our very first Honestly Adoption Podcast! Dr. Chasnoff wants us to know that there is hope for both parents and their children as we learn to approach our children by first looking at the major effect and changes alcohol has on the brain. Then, we look beyond and behind the behaviors, and finally, we find regulatory strategies to help our children thrive. Join Mike, Kristin, and Nicole as they chat with Dr. Chasnoff about all this and more! Should I Talk About My Child’s Traumatic Past With Them? It was a normal summer night a few weeks ago when we sat down to dinner as a family. Actually, I should say, we FINALLY sat down to dinner as a family. Let’s just say, the summer was long, and we were running in at least 5 different directions every day since the end of the previous school year. As much as we filled our minds, and calendars, with lofty ideas of how the summer would play out, it all became delusions of grandeur.